Indigenous Guatemalans, commonly called Mayans, often live in poverty. An incredible byproduct of the poverty is resourcefulness and ingenuity. This post highlights some of the armchair engineering and simple problem solving performed by locals on a regular basis. Build your own traffic cone (with a handle) by pouring cement in an empty jug of water and topping it with a bent piece of rebar. Put a metal pole down a rotted tree and you get an instant pole to run telephone wire. Need to connect two hose? Just shove one inside the other, add two pieces of rebar and some rusted wire for good measure and you're set. Got extra wood and some old tires, you've got everything you need for a comfy bench. No need for a hot water heater to take warm showers with this inline electrical hot water heater (note the string holding it up). Weigh down the portable basketball goals with weights, I mean rocks. Make beachside benches and tables with old pallets. How much PVC can you use at one resort? See below. The poles holding up the pool shelter (PVC). The poles holding up the hammocks (PVC). The railing up the wheelchair ramp (PVC). Basketball hoop and poles (PVC). Legs for the "cement" lounge chair (PVC). The lake is rising and the docks have been raised, just stack some pavers and you get stairs. 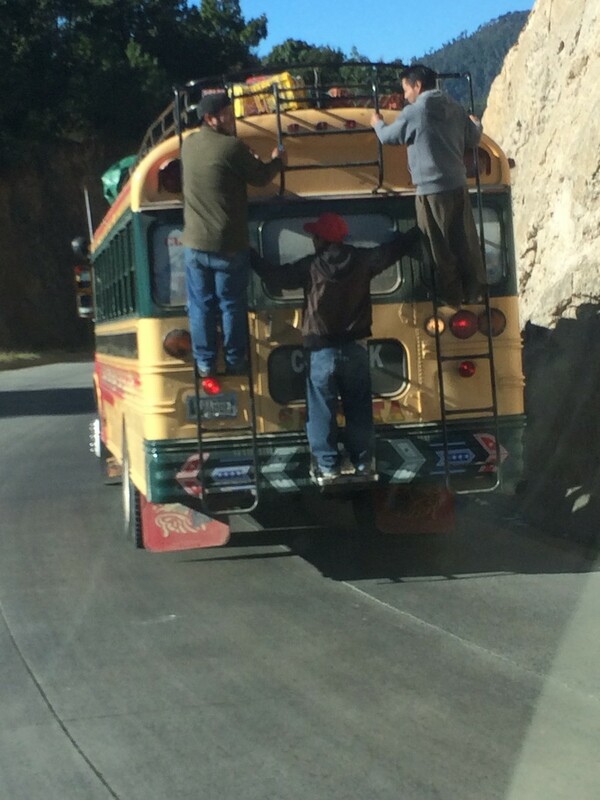 There's no more room on the bus...duh, that's what the ladders and bumper are for. 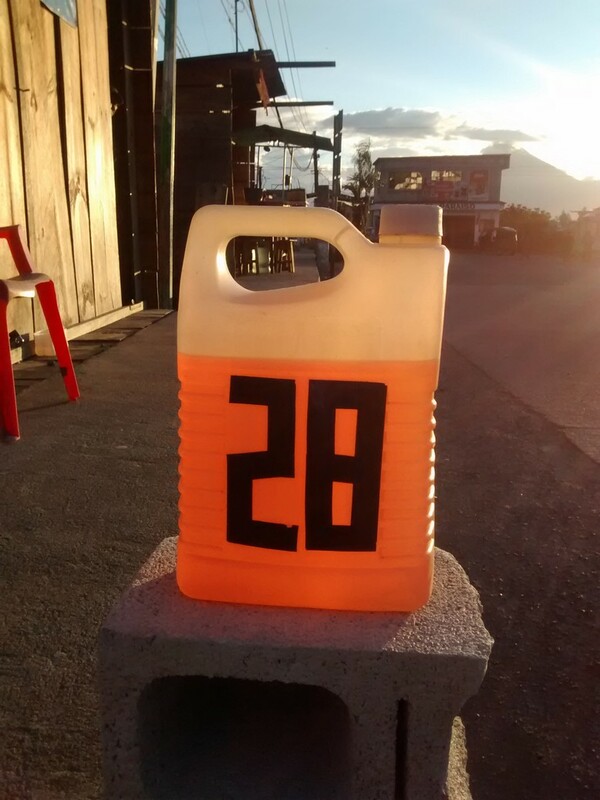 You want to open your own gas station but can't afford the signage, no problem, just put your prices on the a jug of gas using electrical tape. That's literally all you need. Recycle your glass bottles by cementing them into your rock fence. It's the environmentally friendly solution to home security. More PVC and more tires used at a local playground. Used tires, painted, filled with cement and buried makes for some creative games in a park. Upon first look, many of these things look like hack jobs with duct tape and bailing wire but when you don't have much money and have everyday needs...they work! Moreover they often recycle old items and present logical solutions to everyday problems fast. We love talking about these as a family and discussing the pros and cons of each solution. Seeing them in action can really push you to think outside the box. Not everything has to be perfect (or perfectly safe), it just has to work.